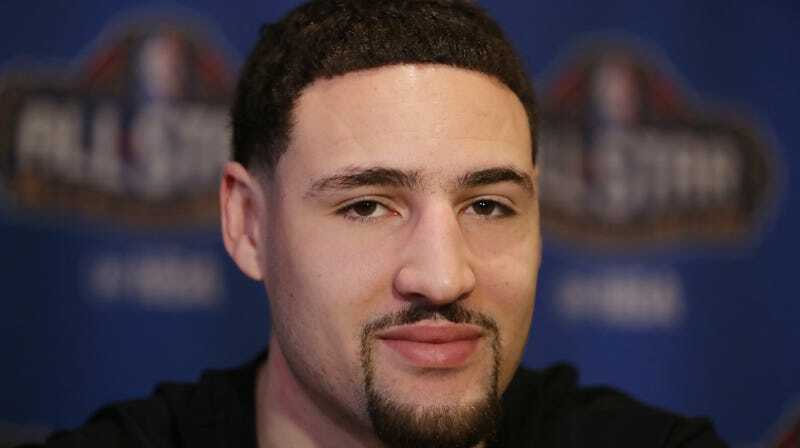 Klay Thompson is once again doing a tour of China, the country where he seems to get sapped of all his basketball-playing ability. While he hasn’t appeared to have humiliated himself dunking, after his very sad attempt last year, this time Thompson got owned at his chosen speciality—shooting. Thompson played some arcade pop-a-shot with a Chinese girl, and he was woefully underprepared for the tornado of marksmanship that he found himself struggling against. Even without the NBA All-Star playing next to her for comparison, this is mesmerizing. I think we found Nick Young’s replacement.